I used to highlight every sentence in my notes as a freshman in high school until I learned, “If you highlight everything, you highlight nothing.” Once I discovered how to decipher the most important facts, I was able to study more efficiently and achieve higher grades on tests. The same is true with your customer base. Yes, you want everyone in the world to purchase your product. But is everyone a good fit for your product? No – you need to highlight the right buyers and focus marketing efforts directly toward them. That’s where Buyer Personas make their grand entrance. A buyer persona is a representation of your ideal customer, developed through market research and data based on your existing customers. Preferably, a company should develop multiple personas to effectively market to their target audiences. Take time to analyze your current customer base and find out if you should build in any other area. Once you have some good facts, begin creating your personas. It can be easy to fall into “paralysis by analysis” and get overwhelmed. Begin with a few main personas and start moving forward; you can always make tweaks or add more later! Start with pre-existing data (previous and existing customers, surveys, competitors). Use tools like Google Analytics and social media analytics to see how you’re performing and who’s viewing your content. Set up a CRM: how do you organize customer information, and what do you do with it? HubSpot, Salesforce, or Pardot are great resources. Every growing company should have a CRM. 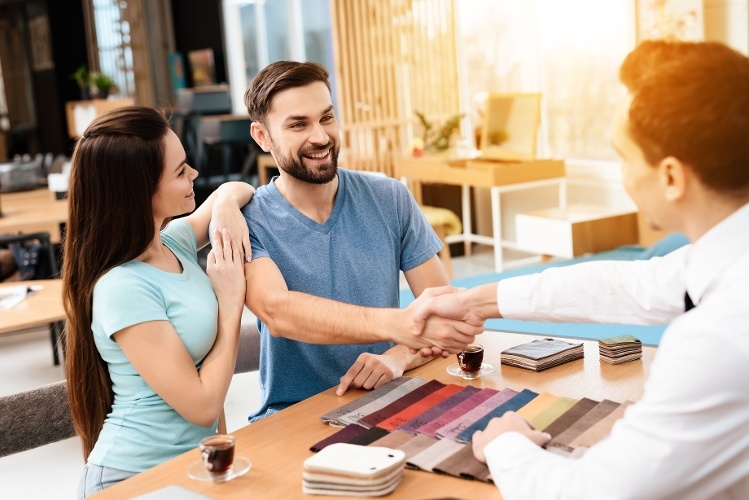 If you’ve ever participated in the High Point Furniture Market or Showtime, then you understand the importance of differentiating your product from the competition. It’s pointless to waste your time trying to gain attention from prospects who are not a good fit. Make sure you know who your customers are, and who they are not. Narrow down your ideal buyers (wholesale buyers, retailers, etc. based on type). Think about the consumer (who will actually be using the product). Segment your marketing based on who you’re trying to reach when you create content. Know your competition and differentiate yourself (tools like SEMrush or iSpionage are helpful to discover how they market themselves). In the furniture manufacturing industry, the concept of a persona brings an interesting twist, because manufacturers generally sell B2B to buyers or retailers, but they also have to consider the end user/consumer, so marketing must be multi-faceted and appeal to every step of the sales process, and it must align with the rapidly moving digital world we live in. Create relevant blogs, rich content with visuals, whitepapers, landing pages, and CTAs within your website. Publish social content on the channels where your ideal customers spend time (and actually BE social – interact online with them). The more relevant content you have within your website, the more organic traffic you will gain for inbound marketing (attract, convert, nurture, close, delight). As you “get to know” your personas more, you will need to tweak your descriptions of them, and your relationships will become stronger with potential buyers! If you’ve typically been more traditional in your marketing efforts, continue to build your digital footprint through online content so that prospects can easily find you and gain valuable information through your efforts. Use analytics to maximize or reallocate spending that is measurable. You might have great sales associates across the US (and globally), but if your marketing and sales efforts aren’t aligning correctly, you’ll encounter issues that you could prevent altogether by partnering with a marketing agency. Instead of an individual or small team in-house, you have access to an entire team of professionals in every area of marketing. If you have a small internal team focused on marketing, they can focus on strategy, and the agency does the heavy lifting behind the scenes. You can reallocate budget you’re using for traditional marketing and use it for inbound marketing, ABM, or other measurable tactics. When you look at the bigger picture, focusing in on potential buyers who are the ideal prospect for your products will save you time and yield a much higher ROI for your business. Download our Furniture Persona Development Worksheet to begin developing your buyer personas, or reach out to the Stratagon team if you have any specific questions! Looking to Better Understand your Customers and Prospects?